KBM Management (Promotion Page): Emma Lee Woodruff - Artist of the Day ! HAPPY NEW WEEK FRIENDS ;-))!! The amazing Emma Lee Woodruff is our "Artist of the Day" for Today (Monday). 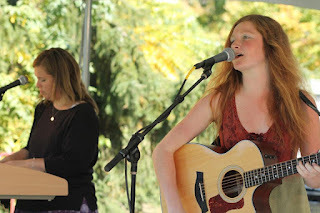 She has been really supportive since joining -The Indie Musician Listings- group, and has a beautiful voice!!! Below are links to her Facebook pages, where she has posted many places to listen to her songs, and watch her videos!! Show her your Love please, listen and enjoy her songs, and share them with your friends!!! About: Hello everyone! For those of you who might be familiar with the band The UnderCovered, a few of us have been exploring our creativity on the side. (We have a page for our band The UnderCovered as well) This particular page is designated for any member in the band to share their personal originals whether it be a band as a full, or individual, just to organize things a little bit. :-) We hope you enjoy, and pretty please check out our other site. Thank you kindly!